When Manfred Zollner decided to start what at that time was a high tech manufacturing company in the middle of the Bavarian woods, 25 km from the Czech border, the people there – who would become its highly skilled workforce – must have scratched their heads. But with hard work and a vision Zollner was able to attract some big international clients and become one of the biggest companies in Europe. 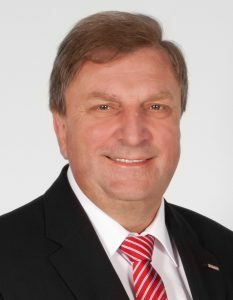 This thoughtful exclusive interview with Zollner Elektronik AG CEO Johann Weber gives us some insights into how they did it: nothing incredibly mysterious, but yes, with a continued and unwavering devotion to its employees and customers. EMSNOW: Zollner was founded more than 50 years ago as a mechatronics service provider and has further developed into the largest European EMS company and to number 14 worldwide. What are you most proud of about Zollner’s growth and performance over these many years? 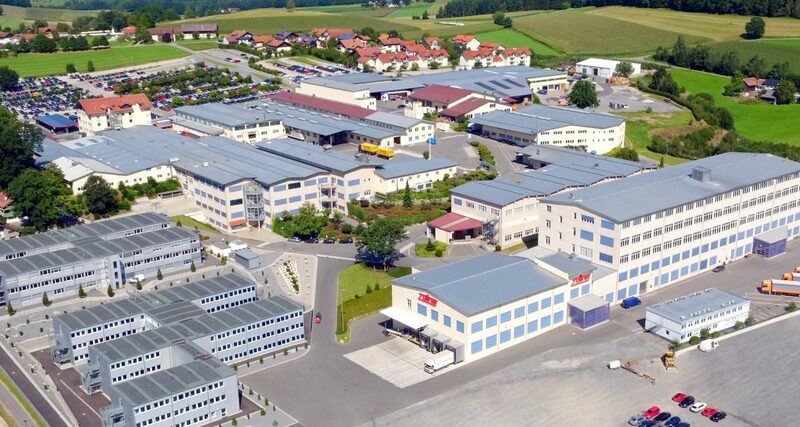 Zollner Elektronik AG is particularly distinguished by its organic growth. It developed from a one-man business and has grown steadily and sustainably in Germany and, since 1988, abroad as well. Today’s company is a global player with 18 production sites worldwide and over 11,000 employees, yet it remains a family-owned business. Not only does the family-like closeness characterize relations within the company but also the trusting, long standing partnerships with our customers. We have been working together with some of our customers for more than 20 and 30 years. Our longest partnership spans over four decades! EMSNOW: You say in your history that employee development is an important part of your strategy. With skilled labor shortage being a challenge in most countries these days, how do you develop and retain qualified employees? Training and further education take place at Zollner Elektronik AG and are lent great significance. Several areas of our Human Resources Management are dedicated to these two fields. We train our future talent ourselves and work very closely with schools, colleges and universities, as well as trade associations. Of our myriad advanced training measures, I’d like to point out the IPC training. We are authorized to award IPC certificates, which represents a unique competitive advantage, among many others. Highly motivated employees are not only our most valuable asset. They also represent our most exalted purpose. This is because our competitors can also purchase the newest machines tomorrow. Our employees are one-of-a-kind. Their dedication, their will to perform, their know-how are what really provide us with an advantage. And that is why we offer our employees the opportunity of continuously further developing themselves, both professionally and in the company hierarchy. Proof of this is in the many members of leadership from our own ranks, some of who started their occupational paths with Zollner Elektronik AG and worked their way into managerial positions. That is a great motivating factor. EMSNOW: Engineering and research & development are some of Zollner’s strengths. How are you able to sell that capability in an environment where hardware is increasingly viewed as a commodity? Without a doubt, hardware is a very critical factor, though software is winning out everywhere in importance. In my opinion, holistic solutions are sought by customers, which cover the entire product lifecycle – exactly that, which distinguishes Zollner. Additionally, one cannot look at hardware alone: 80 percent of costs are defined in development, design and construction and material selection, therefore DfM/DfT/DfX are so critical. If we possess the applicable technological expertise here, we can support the customer in the optimization of their products. DfX knowledge is often lost to the customer. We close this gap, for example, with our large analysis laboratory, simultaneous engineering or holistic value stream optimization. Hardware and software are useless, though, without technological knowledge, and Zollner is a valuable partner to its customers in this area. Due to our holistic approach and interconnection of all processes, we can also optimize research and development, processes and the supply chain. We possess comprehensive knowledge about banned substances and conflict minerals. We also have access to information on worldwide databases – such as SiliconExpert and IHS – which among other things allows us to have improved obsolescence management for components. Mechatronics, Zollner’s core competency, is the nexus tying hardware, software, electronics and mechanics together. We bring it all together. And that gives us a good starting position for the future. EMSNOW: What technological changes do you expect to be the most challenging for Zollner and the EMS industry in the next few years? Blockchain, artificial intelligence or RFID, for example, are important keywords here. Complexity and integration also continually increases and provide opportunities like improving productivity and/or process capability, even in indirect processes, which at the same time present us with new tasks and duties. This is the case with the further challenge of miniaturization, like heat management for higher power and cycle frequencies. We must also take a holistic view of Industry 4.0. An overarching network of customers and suppliers is an imperative as is the ongoing exchange of knowledge. The point is to identify future trends as soon as they loom over international markets. The key to that is proactive networking with trade associations, universities, customers and suppliers. Only in this way can we adopt specifically needed services into our Roadmap and offer them to our customers for added value. EMSNOW: Your geographic footprint includes some non-traditional locations for the EMS sector, including Costa Rica and Tunisia. What are the unique challenges you face in manufacturing in these countries? First we must take the differences in cultures and mentalities into consideration at all of our foreign locations. With the help of intercultural training courses in Germany and the respective countries, Zollner Elektronik AG has established the basis for good collaboration with colleagues at the international level. It’s all about being sensitive to others and finding common ground for cooperation. We are also doing everything possible to break the language barrier. Manufacturing instructions, for example, are translated into the native language of our production workers, or images are displayed on monitors for visual support at work centers. Even data glasses help to illustrate more complex situations. Additional, intensive, technical training courses are provided in Tunisia because the local high schools and colleges are not fully able to teach the type of knowledge we need. There, too, the political situation is less stable than in the other countries where we are represented. However, wage costs and the logistic advantage of being close to Europe speak in Tunisia’s favor. Costa Rica may appear to be unusual as an EMS site, but we made a conscious decision to be there. With this place of business, the North, Middle and South American markets have opened up to Zollner Elektronik AG. EMSNOW: Where do you see the challenges to growth in the EMS industry, and how is Zollner positioning itself to address them? We continue to pursue organic, continuous growth. The customer has always been the focus for Zollner Elektronik AG. Our goal is to grow together with our customers. That means making them successful, offering them added value and supporting them in their individual processes. We strive to build a special bond of trust with our customers, for which the continuity of our leadership team and contact partners plays a significant role. The customer always knows to whom to turn; this uncomplicated path allows for efficient communication and mutual success. Zollner may be a global player, but our customers include medium-size companies as well. We have a broad customer base, international, too, because Zollner is represented on three continents. Add to that a very broad spectrum of technologies and a homogeneous sector variety. The added fact that we are able to offer complete Product Lifecycle Management secures us the best opportunities for growth as an EMS service provider. EMSNOW: What do you see as the biggest opportunities for the industry and for Zollner specifically in the next 2-3 years? The electronics portion of products on the market continues to grow and with that the chances increase that we will grow exponentially. Additionally, the Internet of Things opens brand new prospects related to productivity and the minimizing of risks. Thanks to gapless, comprehensive traceability, the manufacturing process is more transparent and easy to control for customers. Vulnerabilities are more quickly revealed and can be eliminated in a targeted manner. We recognized early on that comprehensive traceability is the basis for Industry 4.0 and saw the advantages Industry 4.0 can offer us. We safeguard these opportunities in that we are able to rely on the proven as a stable basis while at the same time remain open to the novel, be it technology, region, process or something else. Our maxim is: Preserve the proven and adopt the new. The greatest danger to a successful future is to solely dwell on one’s past and the present success. We will not rest on our laurels. The will to always be better drives us forward. The EMS sector faces great challenges: complexity will increase at all levels and interconnection of individual processes will become more and more intense. Artificial intelligence will be continually further developed requiring ever smaller, ever more powerful microchips. The needed space requirements for their production will soon exceed the regular needs of our customers. Zollner is already preparing for this now and will be setting up another controlled environment/cleanroom for that in the coming months in the Neukirchen plant. Change processes will be faster in the future and innovation will be given an even higher significance. Zollner will keep pace and remain a force: the promise to find “Solutions for Your Ideas” for our customers.